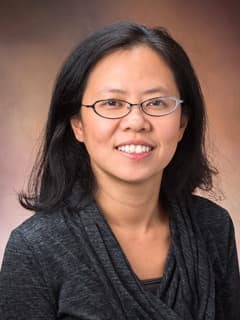 Chun H. Yin, MD, FAAP, is a Pediatrician at CHOP Primary Care, Mount Laurel in Mount Laurel, NJ. Chun H Yin, MD, FAAP, has been practicing pediatrics since 2002. She credits her strong pediatric foundation to the amazing doctors who mentored her during her medical training at the New York University School of Medicine and her residency training at Children's Hospital of Philadelphia. She will also never forget the numerous patients who taught her compassion and fortitude. After obtaining her board certification, Dr. Yin spent four years working in North Jersey before returning to CHOP in 2006. She loves infancy and early development, is a strong proponent of vaccines and breastfeeding, and has special interest in allergy. Dr. Yin lives in Moorestown with her husband and four very active children. When she is not treating children or chasing after her own, she enjoys writing and gardening.